I love whipped cream. I could (and often do) eat it by the spoonful, though these days I’m trying to find new and exciting ways to use it. You’d be surprised what you can do with a bowl of homemade whipped cream – and I’m sure you’ll see several recipes over the next few weeks that involve this sweet, dreamy fluff. For now, I’ve just going to give you the recipe I’ve been using lately. After months of noodling, I’ve found – once again – that less is more. Why add a ton of crap to something that’s beauty rests solely in its simplicity? Does that sentence make any sense? This particular whipped cream recipe is good for creating your own fun, quick and easy summer dessert ideas, since it’s light and won’t bog you down with a ton of sticky sweetness. Dammit, I’m making myself hungry… did I mention I’m trying to avoid sugar? It’s really easy to learn how to make whipped cream, and this recipe adds a little twist. Earlier this week I posted a [painfully simple] tutorial for making vanilla sugar. If you don’t have any on hand, just use regular sugar and a 1/4 teaspoon of vanilla extract to make this recipe. Pour ice-cold whipping cream into a medium-sized mixing bowl. Add agave and vanilla sugar (or plain sugar with 1/4 teaspoon of vanilla extract). Beat with a hand mixer until the cream starts to stiffen. You’ll notice that at first everything will flow around the beaters for a while and then suddenly seize and begin to clump together at about 30-45 seconds. This is when you want to stop – your whipped cream will still be light and airy at this point. If you beat it for two long, you’ll end up with butter! You can use whatever sweetener you like here - brown rice syrup, golden syrup, powdered sugar, granulated sugar, etc. Just keep in mind that the darker your syrup or sweetener, the more it will color your whipped cream in the end. This content was originally posted on FearlessFresh.com. 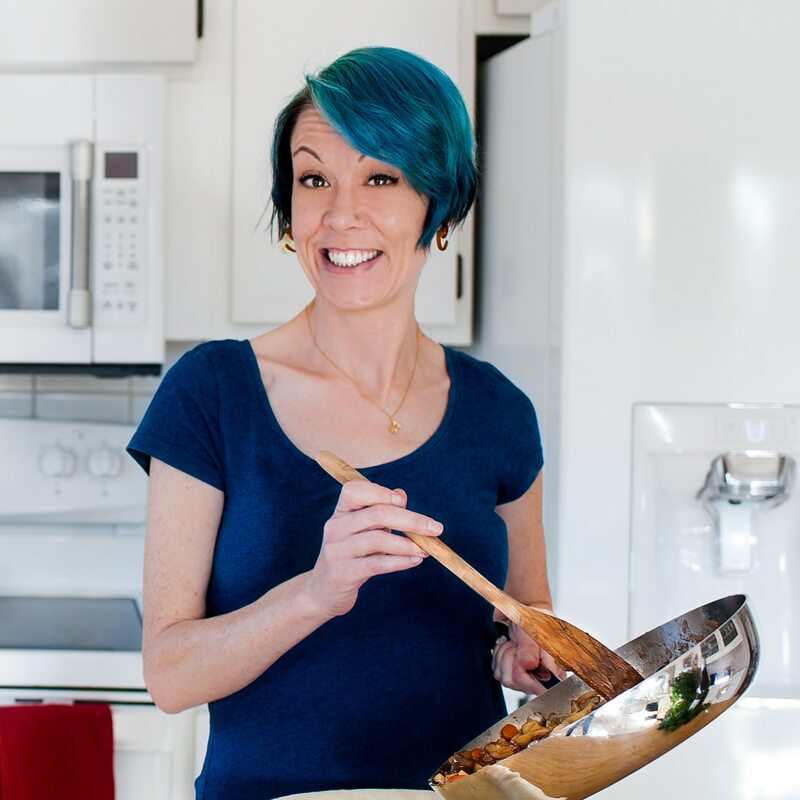 I’m Steph, a classically-trained cooking teacher and professional recipe developer who’s going to show you how to COOK LIKE A BOSS. Follow me for friendly-fierce guidance and training. Let's get you on the road to becoming a master home cook!